The focus this weekend was on the Simplyhealth Great South Run and the women’s world half-marathon record at Valencia. Other highlights included the following. Hillingdon AC were clear winners of the men’s race, surviving a disqualification scare when their last leg runner Mohamed Mohamed was reported by a marshall to have cut a flag while a long way clear. However, all of the chasing clubs agreed that it made no difference to the final result and Mohamed thought he had actually run further than the marked route. Highgate just beat Belgrave for second. Hillingdon also won the under-15 boys race. The women’s race was won by Chelmsford with Alexa Joel repelling the challenge of Belgrave’s Sam Amend on the final leg. Holly Archer of West Suffolk was fastest with 11:36. Full details and photographs of the event will appear in this week’s magazine. Lincoln Wellington led all the way in the men’s race after Joe Wilkinson ran the fastest overall time of 10:12 on the opening leg. 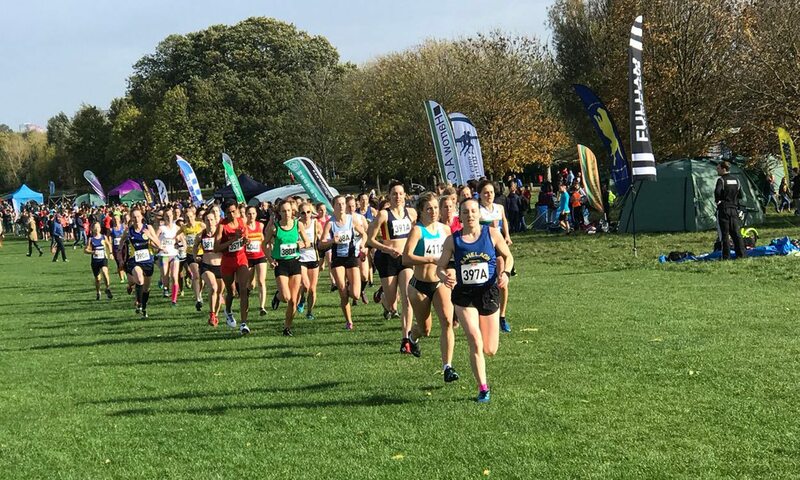 Lincoln also won the women’s race but only after Abbie Donnelly came from seventh to first on the last leg and snatched a two-second victory off Birtley. Warrington’s Harriet Knowles-Jones ran easily the fastest leg with 11:30. Tipton Harriers were first men’s team and their B team finished second while Leicester were first masters team. Nuneaton were first women’s team while Telford won the masters relay. A report and photographs will appear in this week’s magazine. Kenya’s Philemon Rono retained his title with a PB and Canadian all-comers’ record of 2:06:51. Ethiopia’s Marta Megra won the women’s race in 2:28:20. The English team struggled and Ben Johnson’s 12th place in 2:23:24 was the highlight as Lee Grantham and Jonathan Poole, who finished just ahead of him at London, finished outside 2:30, while Tish Jones and Anna Boniface both dropped out. Philip Bridge won in a PB 69:43 while W45 Shona Crombie-Hicks won the women’s race in 83:10. Manchester Marathon runner-up Tom Charles won in a time of 2:29:30 while Hilary Mott was first woman in 2:49:52 for her first ever sub-three as she broke her four-year-old PB. Matt Atkins retained his men’s title, fighting off the challenge of Ben Paviour. European M45 masters marathon champion Paul Cheetham was third and first in his age group. Andy Weir easily won the M50 title. 2:42:51 marathoner Claire Grima won the women’s race in her first ever veterans event. Age group winners included Sue McDonald (W50), Anna Garnier (W60) and Ros Tabor (W65) and Ray Marriott (M60).